The Starblade is an artifact unique to Alhambra, and the stars in the skies of the kingdom are always visible in the reflection of the blade, no matter when or where the owner finds himself. Physically, the blades are a dark, seemingly unbreakable metal that keeps a keen edge. 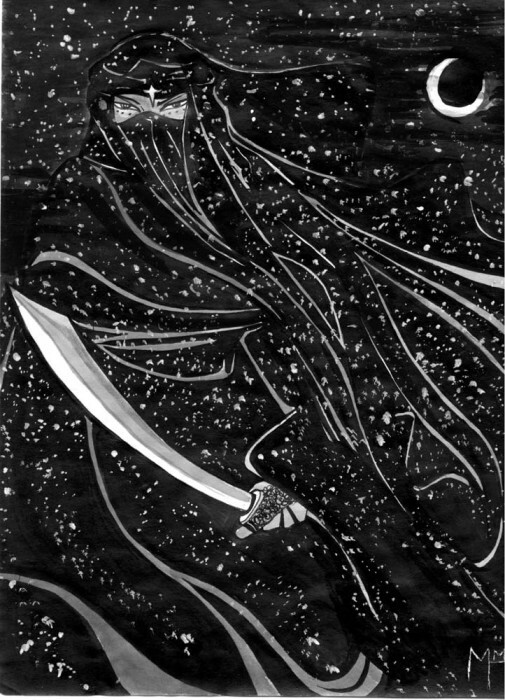 When in the possession of a character who can starwalk, the knife can be used to starwalk to a destination in Alhambra no matter the time of day or visibility of the stars - the reflection in the blade is guidance enough.